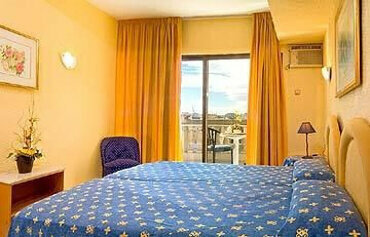 If you are looking for a family hotel in the heart of Benidorm Old Town, why not take a peek at the Magic Cristal Park? The main crowd pleaser at this 3 star hotel is the unique Romanesque rooftop pool and sun terrace. This covered beauty means you can swim and relax whatever the weather or pop outside and catch the rays on a sunny day. The little ones will have a splashing time on the slides in the kids pool or fun in the kids club. If sandcastles and a paddle in the sea are on your holiday menu, Levante Beach is just a stones throw away. Talking of food, the onsite buffet restaurant is open from dawn til midnight with an assortment of tasty dishes to enjoy. If you opt for the all inclusive option, your drinks and snacks are included in the price too. Indoors, the public areas are stylish and spacious. So too is the guest accommodation, all of which come with private balcony, a modern bathroom and the latest mod cons. After dark, there is evening entertainment laid on and four bars onsite to enjoy your favourite tipple. Step outside the hotel to explore the Old Town Square or take a stroll to experience the infamous Benidorm nightlife scene. Discover why the Magic Cristal Park is a popular place to stay for a family holiday in Benidorm. 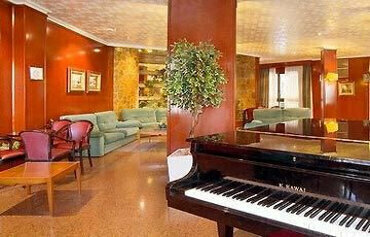 The Magic Cristal Park has all the facilities you would expect from a 3 star hotel in Spain. Highlights include: A covered outdoor rooftop swimming pool, sun terrace, international buffet restaurant, four bars, a large lounge and a 24 hour reception. On the sports front there is a pool table, table tennis and petanque. The children have their own splash pool with slides, a hotel run kids club and play area. A daily activity programme completes the picture. The Magic Cristal Park has 453 modern and stylish guest rooms. 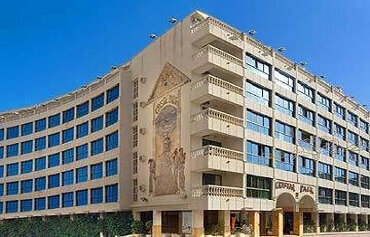 All rooms have air conditioning, thermo fridge, satellite TV, hairdryer, telephone and safe. Connecting rooms, superior rooms with terrace, suites and park view rooms are available at a supplement. The main restaurant offers buffet style dishes from 8am to 12 midnight. Celiac, vegetarian and childrens menus are also available to guests. The Magic Cafe serves a tasty selection of beverages and snacks. Cocktails, beers and an assortment of beverages are available from a choice of four bars at the hotel too. The entertainment programme offers shows and live music in the evening. 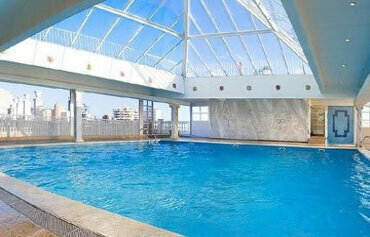 The hotel is located in the heart of Benidorm Old Town, 500m from Levante Beach and facing the Aiguera Park. Alicante Airport is 50kms from the hotel.